The holiday season is nearly here, and bets are you haven’t even thought about planning for the chaos that is about to ensue. Last post, we discussed three ways that employers can help employees stay engaged, focused, and productive during the holiday season. This month, we’re turning the table a bit to focus on client relations during the holidays. You may have noticed that our employer-employee holiday blog came first, and that was purposeful. As Richard Branson famously stated, “Clients do not come first. Employees come first. If you take care of your employees, they will take care of the clients.” Our holiday strategy – and everyday strategy for that matter – is focusing on employees first and foremost. The client relationships will follow effortlessly. This week, we’re piggybacking on the idea that creating a client relationship strategy is key for a successful holiday season. Gratitude is a social emotion that has the power to strengthen relationships. In the corporate world, a little bit of gratitude can go a long way. Your holiday strategy should include carefully planned layers of corporate recognition: from seasonal well wishes to emails, hand-written cards, gifts, and even personal calls or visits are all ways to express your gratitude for the business relationship shared throughout the year. As an added bonus, make sure to personalize your communications whenever you can. A recent study concluded that 65% of HR professionals were planning a holiday party for their organization. Chances are you’re attending a holiday party for your own organization, a client, or both! Planning and maintaining your schedule during the holidays is key to ensuring your duties are met in the office with your own employees, as well as outside the office with your clients. Prioritizing flexibility and setting goals and deadlines before the holiday season is in full swing helps to ensure you and your client won’t be putting out any fires on Christmas Day. By now, your handwritten thank you cards are signed, stamped, and ready to mail to your clients. Your schedule is open and flexible, and goals and deadlines have been discussed early. The last piece of the corporate holiday puzzle is effective communication with your clients. Updating your out-of-office messaging, phone lines, and customer-facing systems for direct client communication is key to ensuring nothing slips through the net! And of course, a personalized holiday message for your clients never hurt. Finishing 2018 strong by defining a holiday customer relations strategy can help with the chaos that the holiday season so often brings. Expressing gratitude to your clients, planning and maintaining a flexible schedule early, and communicating effectively are all ways you can build and maintain client relationships during the holidays. Don’t wait until it’s too late and instead, start planning your client-facing holiday strategy now! Finish the year strong by full recognizing, embracing, and celebrating the holiday season. 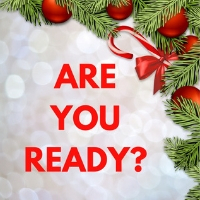 Previous Post Has Your Business Started Planning for the Holidays? You Should Be!